With daily commutes taking up a big chunk of our time, its no surprise that we’re always on the hunt for new ways to keep ourselves entertained to survive rush hour. Recently I overheard our team complaining that there’s nothing good or new to keep them occupied while commuting to and from the office, which got me thinking. The good news is that we pooled our resources and are sharing some fun creative apps to improve the commuter experience. 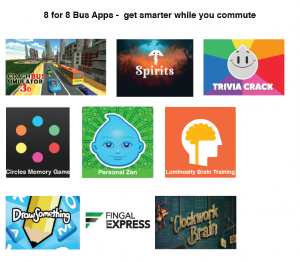 Check out this roundup of 8 easy apps for a productive commute – you might even have fun along the way.